"It only takes one person's commitment to make a difference in a student's life." 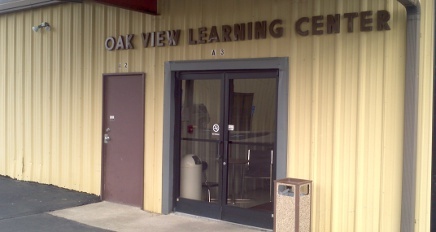 Oak View Learning Center is part of the Pemiscot County Special School District. Oak View is housed on the central administrative campus, which is four miles west of Hayti on Highway 412. While it is part of the public school system, Oak View has a unique function in Pemiscot County. OVLC serves students ages five through twenty-one. These students have moderate to severe/profound mental and/or physical disabilities. The Individual Education Program Team determined that these students cannot be served in their home school district at this time. Like all students, the Oak View students differ in mental ability, sensory development, physical traits, emotional and/or social behavior, and communication skills. Also, like any other student, OVLC kids enjoy laughing, talking, eating, having/making friends, running, playing, going to the movies, going to McDonalds, etc. However, the Oak View students differ to the extent of requiring special education and related services to benefit from their educational experience. Because of this, they are grouped with other children, into one of four levels, according to age and/or ability. We take pride in treating our special needs students as kids first. Our goal is to see the students as kids first, then see that their special needs are met.